Departing from Barcelona we arrived at our first port of call which was the port city of Civitavecchia where we would be transported to this phenomenal city by motor coach. Civitavecchia is a popular port that is located northwest of Rome. It’s a port for a number of cruise lines to arrive and depart. Rome is not actually on the Mediterranean Sea. 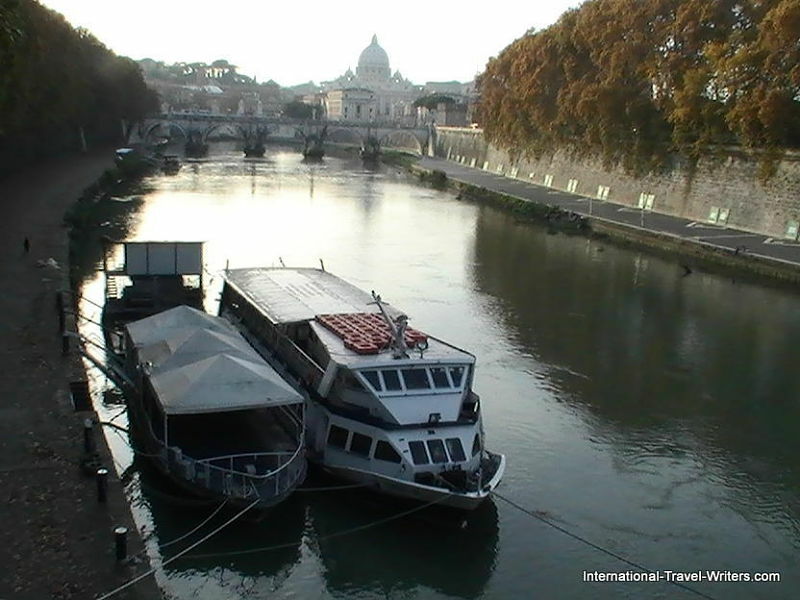 It is located on the Tiber River, and the Tiber is WAY too small for cruise ships to sail on. It's approximately an hour's drive so along the way we saw the typical Roman traffic, gas stations and repair shops. The Roman streets were fairly crowded…it was November and the temperatures were mild. 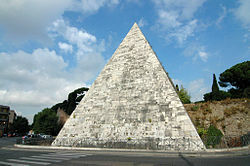 One of the amazing spectacles during the drive was seeing the Pyramid of Cestius which is an ancient pyramid in Rome. It's near the Porta San Paolo. The Pyramid of Cestius was built 18 BC–12 BC as a tomb for Caius Cestius, a magistrate and member of one of the four great religious corporations in Rome, the Septemviri Epulonum. It is made of brick-faced concrete covered with slabs of white marble standing on a travertine foundation, measuring 100 feet square at the base and standing 125 feet high. There was no trace left of any contents in the tomb, which had been plundered in antiquity. The tomb had been sealed when it was built, with no exterior entrance; it is not possible for visitors to access the interior. Rome has been witness to the passage of time for nearly 3,000 years. As mentioned before, the Ancient Roman Empire is recalled as a colossal, dominant extremely influential nation. According to legend it was founded in 753 B.C. by twin sons Romulus and Remus who were raised by a she-wolf. Rome was established as a republic in 509 B.C. Rome has two great worldly movements woven into its unique historical tapestry…the Roman Empire and the Catholic Church. In 1929 Mussolini, under the Lateran Treaty gave the Pope full sovereignty over a small territory across the river to the west which is called “The Vatican” or Vatican City. This is the main residence of the Pope and the spiritual center for millions of Catholics. 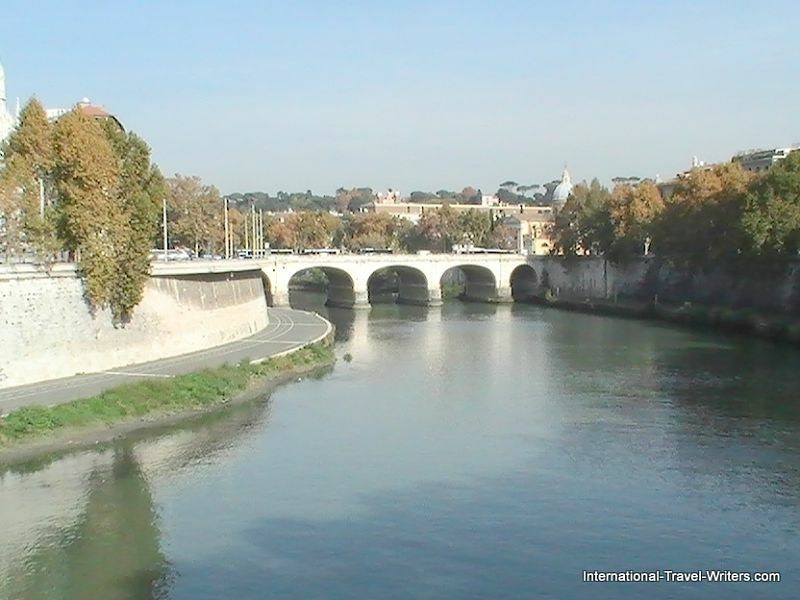 Rome’s historic center is Centro Storico and there are eight districts in the capital. 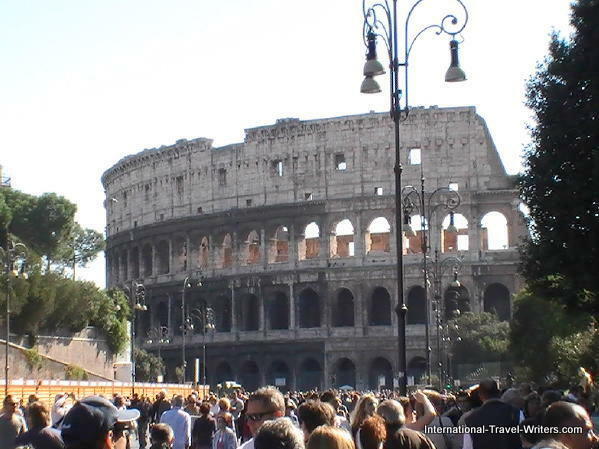 Nearby are the ancient Roman monuments such as Circus Maximus, the Colosseum arena, the Appian Way, the Catacombs, etc. Although the city covers an immense area, its historic sights are all within walking distance. Since it’s impossible to see everything in one day, a return trip is almost assured once you’ve been bitten by the “Roman bug”. The tour guide told us that to be a true “Roman” you have to have had seven generations that have lived in the city limits to merit that title. We drove past landmarks such as Trajan’s Column, the Arch of Constantine, Circus Maximus and the Roman Forum. Circus Maximus was primarily used for horse and chariot racing (think of the chariot race scene in Ben Hur). Utilizing a complicated collection of levers, the Circus was flooded so there could be sea battles. It was also used for a variety of other functions. Its capacity was up to 385,000 people and people from all over the region would visit it. Circus Maximus was created in 600 B.C. and hosted the last horse-racing game in 540 AD, after a custom that endured over a millennium. Today, very little remains of the Circus except for the grass-covered racing track and the spina. Some of the starting gates remain but most of the seating has been lost to time. However, the Circus still occasionally gets some use because it’s a large park area in the center of the city so it is often used for concerts and meetings. The Rome Concert of Live 8 was held there, as was the Italian World Cup 2006 victory celebration. One of the best-known sites in Rome, the Colosseum, where the popular forms of entertainment were the gladiatorial combats, is still standing today. It’s a little worse for wear but is open to the public for tours. Gladiators fought either to the death, or to “first blood” with a variety of weapons for different competitions. Sometimes they fought humans and other times they were pitted against animals such as lions. The motor coach had dropped us off at a central location to do some exploring on our own. This was a great opportunity to trek to a few of the majestic piazzas where we'd gaze in awe at the grand architecture. Although we were on the touristy beaten path, upon our return in 2011 we'd actually repeat our wanderings, of course along with additional sites… because…do you only eat your favorite meal once in your life? Finding the Pantheon should have been easy because we had a small map of the area. However, over time other buildings have been erected which are much higher and we weren’t looking for a low building (comparatively speaking). We finally found it! The Pantheon, whose name is derived from a Greek word, means “to every god”. This building in Rome was commissioned by Marcus Agrippa as a temple to all the gods of Ancient Rome and it was rebuilt by Emperor Hadrian in about 126 AD. It was transformed into a church by Pope Boniface IV in 609 AD. The masons who constructed it used granite as one of the building materials, which helped ensure its longevity. The generic term pantheon has been loosely applied to any building in which the illustrious dead are honored or buried. The Pantheon has a concrete dome with a central opening (oculus) to the sky and this dome is still the world’s largest unreinforced concrete dome. The bronze tiles were removed in 663 by Emperor Constans and sent with other metal ornaments to Constantinople. Pope Urban VIII Barerini (1623-1644) tore away the bronze ceiling of the portico and ordered it melted down. Most of the bronze was used to make cannons for the fortification of Castel Sant'Angelo. 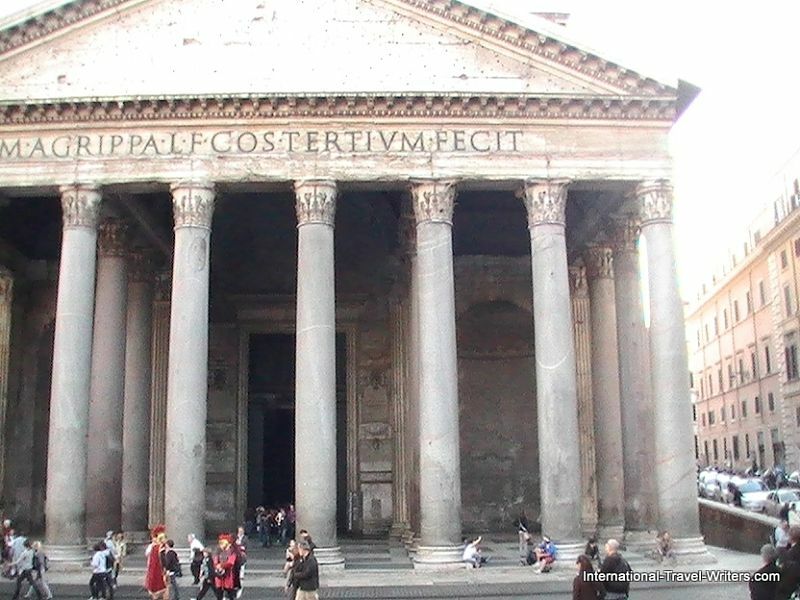 The Pantheon has been in continuous use throughout its history. Since the 7th century, the Pantheon has been used as a Roman Catholic Church dedicated to “St. Mary and the Martyrs” but informally it is known as “Santa Maria Rotonda”. The square in front of the Pantheon is called Piazza dell Rotonda. 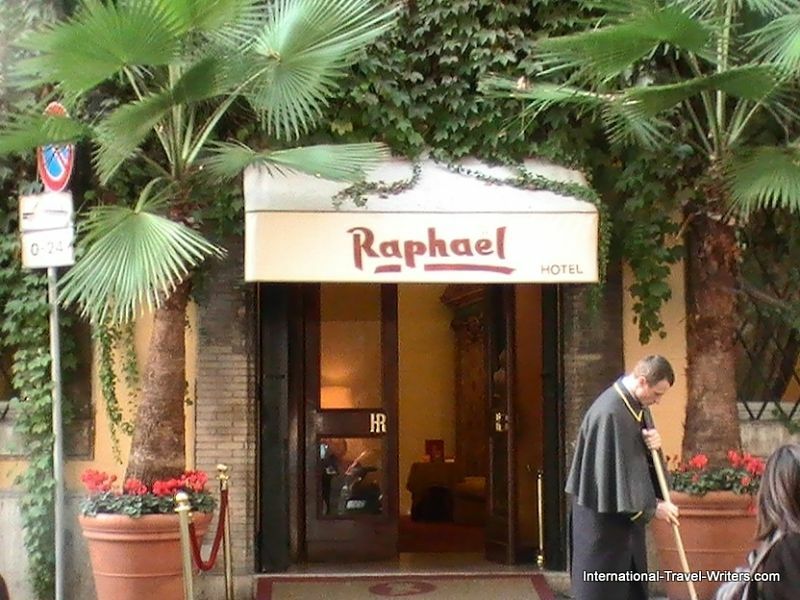 Perhaps the most famous occupant buried there is Raphael. The third niche holds the mortal remains of Raphael and his fiancée, Maria Bibbiena, who is buried to the right of his sarcophagus; she died before they could marry. The sarcophagus says “Bones and Ashes”. The sarcophagus was given by Pope Gregory XVI and it has another long inscription commissioned by the Pope. Also buried there are two kings of Italy: Vittorio Emmanuelle II and Umberto I, as well as Umberto’s Queen Margherita. Italy has been a republic since 1946 and volunteer members of the Italian monarchist organizations keep a watchful eye on the royal tombs in the Pantheon. However, it is the Italian Ministry of Cultural Heritage that is in charge of the security and maintenance. Seeing the movie with Tom Hanks called "Angels & Demons" shows fantastic scenes inside the Pantheon of Raphael's Tomb that brought back exciting memories when we saw it. We were pointing and saying...we were there!! During the wandering we had spotted a couple of hotels to investigate and an outdoor restaurant in the Piazza Navona, where we'd return for lunch. This particular hotel looked so charming and the care that a doorman was taking to keep the sidewalks clean was impressive and caught my eye. We stayed there when we returned in 2011. We discovered that this hotel also took exceptional care of its guests, not just sidewalks. 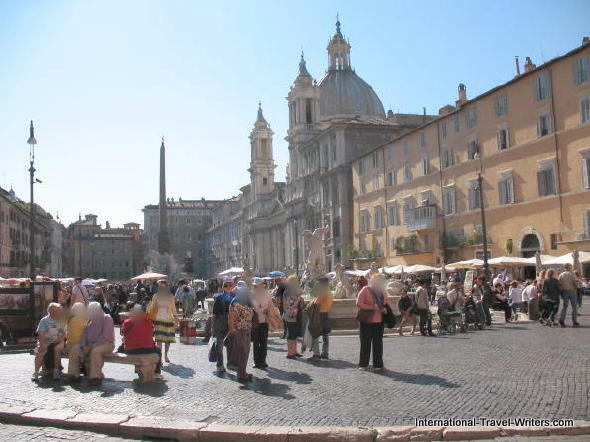 The Piazza Navona is a jewel of the Roman Baroque period. Its name probably comes from “race, game” referring to the naval battles that took place when the square had a concave bottom which was artificially flooded for naval games. 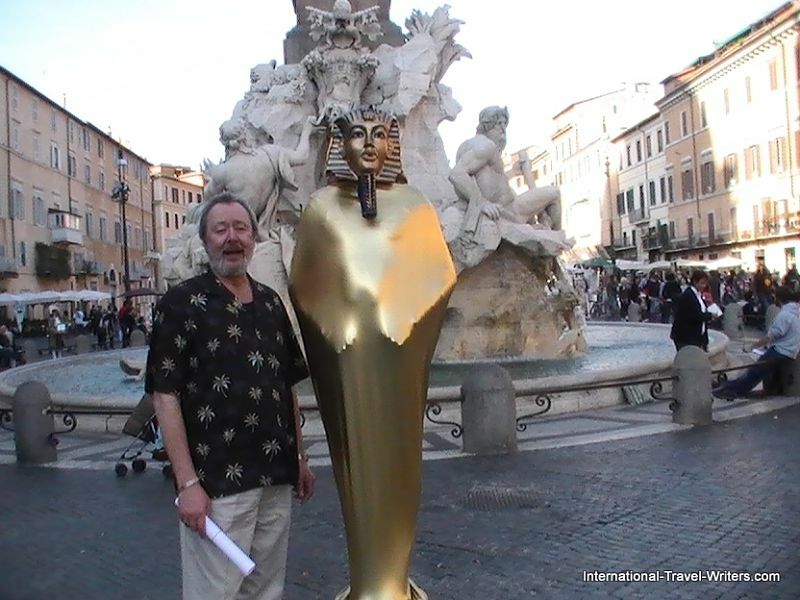 In the center stands the famous Fountain of the Four Rivers (1651) by Gian Lorenzo Bernini seen below with a "golden mime"). Bernini added the Moor wrestling with a dolphin to a fountain at the south end, which formerly had simply been a basin and four Tritons (1673). 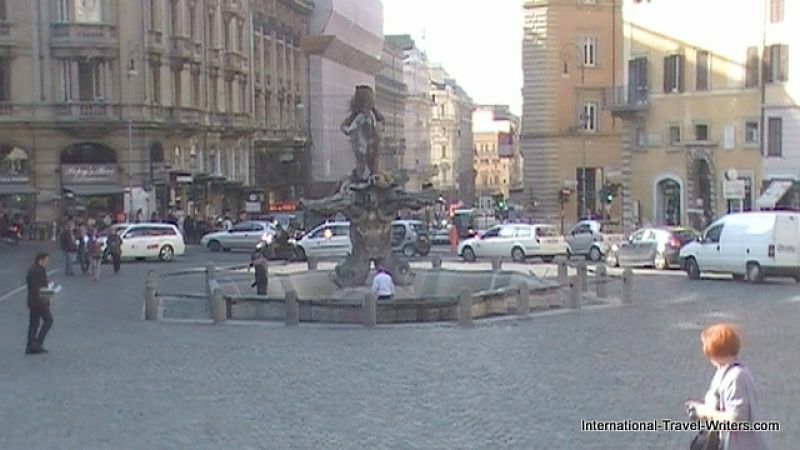 There is another fountain at the northern end, the Fountain of Neptune, which had the statue of Neptune added in 1878, probably to make the area more symmetrical. 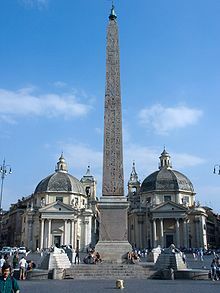 The city of Rome harbors the most obelisks in the world. There are eight ancient Egyptian and five ancient Roman obelisks in the city. These five obelisks were manufactured in Egypt in the Roman period at the request of the wealthy Romans, or made in Rome as copies of ancient Egyptian originals. They shipped them down the Nile to Alexandria and from there across the Mediterranean Sea to Rome. To achieve this they used special heavy cargo carriers, the Obelisk ships. Once they were on site, large Roman cranes were used to erect the monoliths. Augustus, after having defeated Anthony and Cleopatra and conquering Egypt in 30 BC, brought from Heliopolis to Rome the obelisk dedicated to the Pharaoh Rameses II. He put the Obelisk of Rameses II in the center of the Circus Maximus and dedicated it to the Sun. Three sides of the obelisk were carved during the reign of Sety I and the fourth side, under Rameses II. It fell during wars between the Byzantines and the Goths for control of Rome in the 6th century AD and it was covered in debris. In 1587 the area was excavated and the obelisk was repaired and moved in 1589 to Piazza del Popolo, seen below. It is topped by the mountains and the star of Sixtus V. You can also see the twin churches of Santa Maria dei Miracoli and Santa Maria di Montesanto. Other obelisks came from Egypt or were made in Rome in the next three centuries. None of the obelisks are on the sites where they were erected by the Roman Emperors. By the 16th century most of them were broken into pieces. They were repaired and saved by Pope Sixtus V (1585-90) who used them as focal points for some of the new streets he opened. 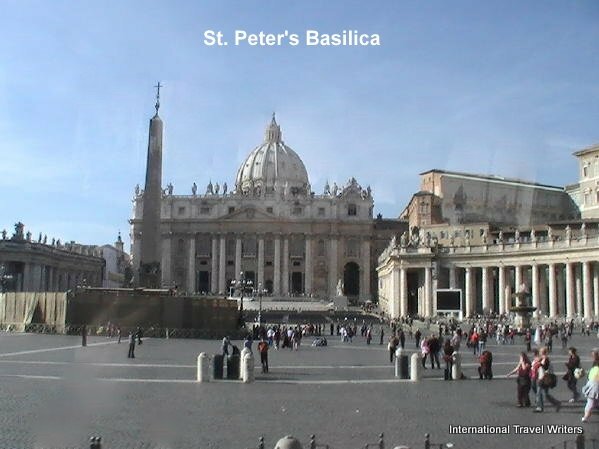 Eventually they were moved to the center of a piazza or in front of a basilica. Life in ancient Rome revolved around the city of Rome, located on seven hills. The city had a tremendous number of structures like those listed above (Colosseum, Circus Maximus, Pantheon, Trajan’s Column) but it also had theaters, gymnasiums, market places, functional sewers, and bath complexes. They had complete libraries and shops and a good selection of fountains with fresh drinking water supplied by hundreds of miles of aqueducts. These fountains were placed in town squares called piazzas and statues of some of the old gods were represented. Our lunch location returned us to the Piazza Navona which is a favorite that we will return to many times in future years. Artists abound waiting to do portraits and there are arts and crafts to look at from local vendors and artisans. Costumed mimes stand silently waiting to be photographed, expecting a tip for the unique photo opportunity they offered. We had worked up an appetite with all the walking and we were ready to both eat and let our feet have a rest.